Jamal Zougam is a Moroccan convicted of being a perpetrator of the March 11, 2004, train bombings in Madrid, Spain, that killed 191 people and injured more than 1,800.“Spain Train Bombings Fast Facts,” CNN, March 5, 2017, http://www.cnn.com/2013/11/04/world/europe/spain-train-bombings-fast-facts/index.html; Paul Hamilos, “Mass murderers jailed for 40 years as judge delivers verdicts on Spain’s 9/11,” Guardian (London), November 1, 2007, https://www.theguardian.com/world/2007/nov/01/spain.international. Zougam, who had previously been brought to the attention of authorities for his links to al-Qaeda members, placed at least one of the bombs.“Jamal Zougam, uno de los marroquíes detenidos en Madrid, clave en la investigación del 11-M,” El Mundo (Madrid), March 19, 2004, http://www.elmundo.es/elmundo/2004/03/16/espana/1079407423.html; Craig Whitlock, “21 Convicted in Madrid Bombings,” Washington Post, November 1, 2007, http://www.washingtonpost.com/wp-dyn/content/article/2007/10/31/AR2007103100437.html; Paul Hamilos, “Mass murderers jailed for 40 years as judge delivers verdicts on Spain’s 9/11,” Guardian (London), November 1, 2007, https://www.theguardian.com/world/2007/nov/01/spain.international. He also owned the shop where the mobile phones used to detonate the bombs were sold.Elizabeth Nash, “Madrid bombers ‘were inspired by Bin Laden address,’” Independent (London), November 7, 2006, https://web.archive.org/web/20080706184144/http://news.independent.co.uk/europe/article1961431.ece; “Los autores materiales” El Mundo (Madrid), accessed September 29, 2017, http://www.elmundo.es/documentos/2004/03/espana/atentados11m/juicio/procesados/autores_zougam.html. In October 2007, Zougam was convicted of 191 counts of murder by Spain’s National Court and sentenced to 42,922 years in prison, but will only serve 40, the maximum sentence that can be served under Spanish law.Paul Hamilos, “Mass murderers jailed for 40 years as judge delivers verdicts on Spain’s 9/11,” Guardian (London), November 1, 2007, https://www.theguardian.com/world/2007/nov/01/spain.international; Victoria Burnett, “3 get heavy sentences in Madrid train bombings,” New York Times, October 31, 2007, http://www.nytimes.com/2007/10/31/world/europe/31iht-spain.3.8131507.html. Zougam was born in Tangier, Morocco, but at some point moved to Madrid, Spain.“Auto del 11-M,” El Mundo (Madrid), accessed September 29, 2017, 1409, http://www.elmundo.es/documentos/2006/04/11/autohtml/indice.html. In Madrid, Zougam owned a mobile phone shop that was later determined to have sold the mobile phones used to detonate the bombs on March 11, 2004.“Los autores materiales” El Mundo (Madrid), accessed September 29, 2017, http://www.elmundo.es/documentos/2004/03/espana/atentados11m/juicio/procesados/autores_zougam.html. Zougam first came to the attention of Spanish authorities in July of 2001, when French authorities suggested that he might have connections with an al-Qaeda cell in Spain. Authorities searched his residence in Madrid and found jihadist propaganda materials, including a video interview of Osama bin Laden, as well as phone numbers of known al-Qaeda-linked terrorists. These terrorists included Imad Eddin Barakat Yarkas (alias Abu Dahdah), a Spaniard prosecuted for his involvement in the 9/11 attacks, jihadists who had trained at al-Qaeda camps in Afghanistan, and others who were later prosecuted for the May 2003 bombings in Casablanca, Morocco.“Jamal Zougam, uno de los marroquíes detenidos en Madrid, clave en la investigación del 11-M,” El Mundo (Madrid), March 19, 2004, http://www.elmundo.es/elmundo/2004/03/16/espana/1079407423.html; “Los autores materiales” El Mundo (Madrid), accessed September 29, 2017, http://www.elmundo.es/documentos/2004/03/espana/atentados11m/juicio/procesados/autores_zougam.html; Tim Golden and Craig S. Smith, “Spain Arrests 5 More Suspects in Madrid Bomb Attacks,” New York Times, March 19, 2004, http://www.nytimes.com/2004/03/19/world/spain-arrests-5-more-suspects-in-madrid-bomb-attacks.html. In 2003, Zougam was again brought to the attention of authorities in connection with the Casablanca bombings. Authorities determined that he met with members of Salafia Jihadia, the Moroccan militant group accused of carrying out the attacks, in 2001. Moroccan officials also reported that he traveled to Morocco in the weeks prior to the May 2003 bombings. 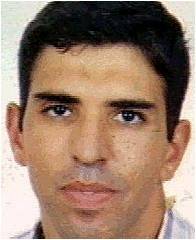 Zougam was questioned, but authorities did not prosecute him due to lack of evidence that he committed any actual crimes.“Jamal Zougam, uno de los marroquíes detenidos en Madrid, clave en la investigación del 11-M,” El Mundo (Madrid), March 19, 2004, http://www.elmundo.es/elmundo/2004/03/16/espana/1079407423.html; Tim Golden and Don Van Natta Jr., “BOMBINGS IN MADRID: THE INVESTIGATION; Madrid Suspect Under Scrutiny in 3 Countries,” New York Times, March 17, 2004, http://www.nytimes.com/2004/03/17/world/bombings-madrid-investigation-madrid-suspect-under-scrutiny-3-countries.html. On March 11, 2004, ten bombs detonated in a series of coordinated attacks on four commuter trains between 7:36 and 7:40 a.m. on the Cercanías railroad in Madrid, killing 191 people and injuring more than 1,800.“Spain Train Bombings Fast Facts,” CNN, March 5, 2017, http://www.cnn.com/2013/11/04/world/europe/spain-train-bombings-fast-facts/index.html; “Auto del 11-M,” El Mundo (Madrid), accessed September 29, 2017, 1, http://www.elmundo.es/documentos/2006/04/11/autohtml/indice.html. The bombs had been placed in backpacks and other small bags and were detonated using mobile phones.“Spain Train Bombings Fast Facts,” CNN, March 5, 2017, http://www.cnn.com/2013/11/04/world/europe/spain-train-bombings-fast-facts/index.html; “Los autores materiales” El Mundo (Madrid), accessed September 29, 2017, http://www.elmundo.es/documentos/2004/03/espana/atentados11m/juicio/procesados/autores_zougam.html. After finding a mobile phone attached to a bomb that had failed to detonate, authorities were able to trace the mobile device back to Zougan’s shop that sold the phones.“Los autores materiales” El Mundo (Madrid), accessed September 29, 2017, http://www.elmundo.es/documentos/2004/03/espana/atentados11m/juicio/procesados/autores_zougam.html; Paul Hamilos, “Mass murderers jailed for 40 years as judge delivers verdicts on Spain’s 9/11,” Guardian (London), November 1, 2007, https://www.theguardian.com/world/2007/nov/01/spain.international. Zougam was arrested on March 13, and was the first person to be detained in connection with the bombings.“Los autores materiales” El Mundo (Madrid), accessed September 29, 2017, http://www.elmundo.es/documentos/2004/03/espana/atentados11m/juicio/procesados/autores_zougam.html. After his arrest, he was also recognized by witnesses who claimed that they had seen him at the scene of the attack.“Zougam, supuesto autor material: ‘El 11-M me levanté a las 10 y me fui a trabajar,” El Mundo (Madrid), February 16, 2007, http://www.elmundo.es/elmundo/2007/02/16/espana/1171630777.html; “Los autores materiales” El Mundo (Madrid), accessed September 29, 2017, http://www.elmundo.es/documentos/2004/03/espana/atentados11m/juicio/procesados/autores_zougam.html. On March 19, 2004, Zougam was charged with 190 murders, 1,400 attempted murders and a charge of belonging to a terrorist organization.Tim Golden, “Spanish Judge Holds 3 Moroccans on Murder Charges,” New York Times, March 20, 2004, http://www.nytimes.com/2004/03/20/world/spanish-judge-holds-3-moroccans-on-murder-charges.html. The Spanish government first attributed the attack to the ETA, but the Basque separatist group denied involvement. Two days after the attack, al-Qaeda released a video tape claiming responsibility. “Spain Train Bombings Fast Facts,” CNN, March 5, 2017, http://www.cnn.com/2013/11/04/world/europe/spain-train-bombings-fast-facts/index.html; Giles Tremlett, “We bombed Madrid, says al-Qaeda,” Guardian (London), March 13, 2004, https://www.theguardian.com/world/2004/mar/14/spain.terrorism3. On April 15, another al-Qaeda recording was released in which bin Laden referenced the attack in Madrid.“Auto del 11-M,” El Mundo (Madrid), accessed September 29, 2017, 544, http://www.elmundo.es/documentos/2006/04/11/autohtml/indice.html.However, authorities have not been able to directly link al-Qaeda to the attack. There was no evidence that al-Qaeda itself helped to finance, plan, or direct the attack.“Spain Train Bombings Fast Facts,” CNN, March 5, 2017, http://www.cnn.com/2013/11/04/world/europe/spain-train-bombings-fast-facts/index.html; Elizabeth Nash, “Madrid bombers ‘were inspired by Bin Laden address,’” Independent (London), November 7, 2006, https://web.archive.org/web/20080706184144/http://news.independent.co.uk/europe/article1961431.ece. Nonetheless, the principal assailants, including Zougam, were suspected to have been part of a terror cell inspired by al-Qaeda, although seven members of the purported cell evaded prosecution by blowing themselves up in an apartment in Madrid in April 2004.Tom Burridge, “Spain remembers Madrid train bombings 10 years on,” BBC News, March 11, 2014, http://www.bbc.com/news/world-europe-26526704; Elizabeth Nash, “Madrid bombers ‘were inspired by Bin Laden address,’” Independent (London), November 7, 2006, https://web.archive.org/web/20080706184144/http://news.independent.co.uk/europe/article1961431.ece; Martin Evans, “Terrorism in Spain and were warnings missed?” Telegraph (London), August 17, 2017, http://www.telegraph.co.uk/news/2017/08/17/terrorism-spain-warnings-missed/; Craig Whitlock, “21 Convicted in Madrid Bombings,” Washington Post, November 1, 2007, http://www.washingtonpost.com/wp-dyn/content/article/2007/10/31/AR2007103100437.html. The court ultimately determined that the seven had been part of a “jihadist cell” and dismissed the possibility that the ETA had been involved.Lisa Abend, “Deep divisions over Madrid verdict,” Christian Science Monitor, November 1, 2007, https://www.csmonitor.com/2007/1101/p07s02-woeu.html. The trial of those accused in the Madrid bombing, including Zougam’s, began in February of 2007.Al Goodman, “Madrid train bombs: The defendants,” CNN, October 31, 2007, http://edition.cnn.com/2007/WORLD/europe/10/31/madrid.defendants/. At the start of his trial, Zougam faced 191 charges of murder and 1,820 charges of attempted murder.Mar Roman, “3 Madrid Bombing Suspects Deny Any Roles,” Washington Post, February 19, 2007, http://www.washingtonpost.com/wp-dyn/content/article/2007/02/19/AR2007021900411_pf.html. Throughout his trial, Zougam denied any involvement in the attacks. “Zougam, supuesto autor material: ‘El 11-M me levanté a las 10 y me fui a trabajar,” El Mundo (Madrid), February 16, 2007, http://www.elmundo.es/elmundo/2007/02/16/espana/1171630777.html; “Los autores materiales” El Mundo (Madrid), accessed September 29, 2017, http://www.elmundo.es/documentos/2004/03/espana/atentados11m/juicio/procesados/autores_zougam.html.The prosecution accused him of supplying the mobile phones used in the bombs, since he owned the shop where the phones were sold.Elizabeth Nash, “Madrid bombers ‘were inspired by Bin Laden address,’” Independent (London), November 7, 2006, https://web.archive.org/web/20080706184144/http://news.independent.co.uk/europe/article1961431.ece; “Los autores materiales” El Mundo (Madrid), accessed September 29, 2017, http://www.elmundo.es/documentos/2004/03/espana/atentados11m/juicio/procesados/autores_zougam.html.Furthermore, multiple witnesses claimed that they saw Zougam placing a bag on one of the trains that was bombed. However, there were significant inconsistencies in their testimonies: four witnesses claimed that they saw Zougam on three different trains, and different witnesses reported that he was wearing different clothingJosé Yoldi, “Cuatro testigos identifican a Jamal Zougam en tres trenes diferentes del 11-M,” El País, March 14, 2007, https://elpais.com/diario/2007/03/14/espana/1173826814_850215.html; “Los autores materiales” El Mundo (Madrid), accessed September 29, 2017, http://www.elmundo.es/documentos/2004/03/espana/atentados11m/juicio/procesados/autores_zougam.html. Some witnesses later amended their testimonies.José Yoldi, “Cuatro testigos identifican a Jamal Zougam en tres trenes diferentes del 11-M,” El País, March 14, 2007, https://elpais.com/diario/2007/03/14/espana/1173826814_850215.html; “Zougam, supuesto autor material: ‘El 11-M me levanté a las 10 y me fui a trabajar,” El Mundo (Madrid), February 16, 2007, http://www.elmundo.es/elmundo/2007/02/16/espana/1171630777.html; “Los autores materiales” El Mundo (Madrid), accessed September 29, 2017, http://www.elmundo.es/documentos/2004/03/espana/atentados11m/juicio/procesados/autores_zougam.html. Nonetheless, Spain’s National Court ultimately determined that Zougam had been a direct perpetrator of the attack and was responsible for placing at least one of the bombs. Craig Whitlock, “21 Convicted in Madrid Bombings,” Washington Post, November 1, 2007, http://www.washingtonpost.com/wp-dyn/content/article/2007/10/31/AR2007103100437.html; Paul Hamilos, “Mass murderers jailed for 40 years as judge delivers verdicts on Spain’s 9/11,” Guardian (London), November 1, 2007, https://www.theguardian.com/world/2007/nov/01/spain.international; Lisa Abend, “Deep divisions over Madrid verdict,” Christian Science Monitor, November 1, 2007, https://www.csmonitor.com/2007/1101/p07s02-woeu.html. Zougam’s verdict was announced on October 31, 2007.Paul Hamilos, “Mass murderers jailed for 40 years as judge delivers verdicts on Spain’s 9/11,” Guardian (London), November 1, 2007, https://www.theguardian.com/world/2007/nov/01/spain.international. He was convicted of 191 murders, 1,841 attempted murders, four acts of terrorism, and one charge of belonging to a terrorist organization, and sentenced to 42,922 years in prison.“Los autores materiales” El Mundo (Madrid), accessed September 29, 2017, http://www.elmundo.es/documentos/2004/03/espana/atentados11m/juicio/procesados/autores_zougam.html; Paul Hamilos, “Mass murderers jailed for 40 years as judge delivers verdicts on Spain’s 9/11,” Guardian (London), November 1, 2007, https://www.theguardian.com/world/2007/nov/01/spain.international. However, he will only serve 40 years, as that is the maximum sentence that can be served under Spanish law.Paul Hamilos, “Mass murderers jailed for 40 years as judge delivers verdicts on Spain’s 9/11,” Guardian (London), November 1, 2007, https://www.theguardian.com/world/2007/nov/01/spain.international.